In the textile sector that is the main locomotive of BURTEKS group companies, there are Open End and Compact yarn facilities, weaving facilities and twist facilities. 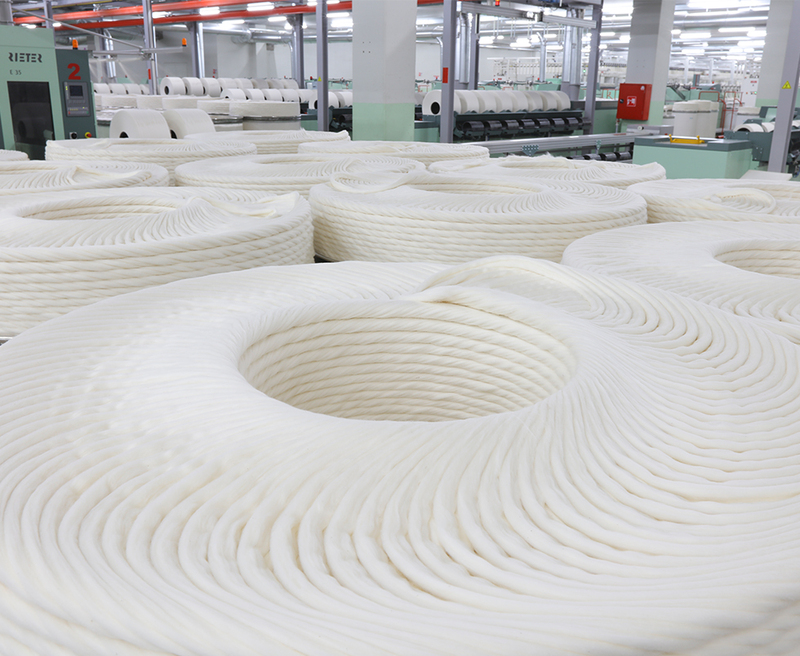 It has begun production with the Open End facility in the Organized Industry Area in the year 1996 and now, it can make production in all yarn numbers between NE 4/1 - NE 36/1 from 100% American cotton with a daily capacity of 20.000-kg. The Compact Yarn facility started production in 2015 and it has made a first in Turkey by establishing the two-floor ring facility with Rieter which is one of the leading textile machine brands in the sector. Daily 20.000 kg of compact cotton yarn is produced on the ring yarn in 25.000 m2 of closed area and all yarn numbers between NE 36/1 - NE 120 can be processed. The weaving facilities were opened for production in 2005. Nowadays, daily 40,000 meters of fabric can be produced between 120 - 340 cm of sizes in the latest model Picanol tables. Twisting facilities have started production in 2005 and they can make production of daily 5.000-kg of yarn with SAVIO and Volkmann brand twisting machines.